The lack of attention isn’t so surprising. As far as I can see, no English translation of the plan has been published. Moreover, Chinese government documents can be thick, labyrinthine, jargon-filled, and sometimes nearly incomprehensible without the proper context. The national urbanization plan is no exception. Hailong Village in Chongqing. Will grassroots village development be supported under China's urbanization plan? I’ve finally had time to wade through the 50-page document, and it’s chock-full of fascinating insights. It’s well worth the read for anyone with a passing interest in where China is headed under the new Xi-Li regime. How China urbanizes over the next 20 years is going to change everything from global warming (ever thought about how much carbon is produced from all that concrete?) to the price of bread (Chinese land policy is explicitly linked to national aspirations of agricultural self-sufficiency). The path of Chinese urbanization could even tip the scales toward or away from military conflict with China’s regional neighbors and, by extension, the US (without stable livelihoods, unrest among China’s massive rural population may force the state to blame foreign scapegoats). Meanwhile, the national urbanization plan seems to suggest that the Chinese people are in for at least another ten years of city-centric policies (see below for a further discussion of the Chinese state’s persistent methodological urbanism). Over the next couple of months, I will be writing a number of posts on the ins and outs of China’s national urbanization plan. Check back here for discussions of rural land rights, household registration reform, welfare provision, food security, regional urban systems, urban planning, sustainability, surveillance, villages… Got something you want me to cover? Leave a comment and let me know. In many respects, this is the first effort by Xi Jinping and Li Keqiang (now in their second year as China’s top two leaders) to publicly articulate an integrated policy platform. If the “Chinese dream” is the Xi-Li contribution to China’s series of leadership slogans (including Jiang Zemin and Zhu Rongji’s “moderately prosperous society” and Hu Jintao and Wen Jiabao’s “harmonious society”), then the “new form of urbanization” proposed in the national urbanization plan is the next iteration of China’s national policy platform. This is the Xi-Li equivalent of “scientific development,” the policy framework that dominated the Hu-Wen era. The “new form of urbanization” proposed in the national urbanization plan is the next iteration of China’s national policy platform. Like previous regimes, Xi and Li are using the national urbanization plan to simultaneously affirm the continuity of China’s leadership and distinguish their policies from those of their predecessors—China is still urbanizing, but it’s a “new form” of urbanization. Moreover, the national urbanization plan provides a broad framework through which to integrate the wide variety of national policy priorities. Just as every policy referenced “scientific development” during the Hu-Wen era, expect to see more and more policy documents invoking China’s new form of urbanization—more on this below. How have Xi and Li departed from the legacy of their predecessors? First, China’s demographic calculus has changed. China’s widely publicized urbanization rate always used to be measured by the percentage of the population living in administratively designated urban areas for more than half of the year (what is known as the “long-term resident population” or changzhu renkou). This is the figure that led China’s leadership to triumphantly announce that China had become more than half urban in 2011. These metrics haven’t gone away, but the new national urbanization plan gives more play to the proportion of China’s population with urban household registration, emphasizing the significant gap between the urbanization rate and the household registration rate. This shift is in part a repudiation of the urban triumphalism of past regimes. But it also recognizes that a significant portion of the Chinese population has not fully shared in the benefits of China’s rapid development. The national urbanization plan suggests that the state may finally be prepared to turn its attention to the equity and inclusivity of Chinese urbanization. More substantively, this involves the state pivoting away from policies that have privileged rapid spatial and economic development without proportional improvement to social welfare. To use a phrase that has become popular in Chinese discourse over the past several years, this means the “urbanization of the population” (shiminhua), not just the urbanization of the built environment. This means the “urbanization of the population” (shiminhua), not just the urbanization of the built environment. It’s also worth noting that Xi and Li did not use the generic term for “urbanization” (chengshihua) but a more specific term that concatenates the characters for city and town (chengzhenhua). This signals a shift away from large and super-large cities that have characterized China’s development over the past twenty years. Instead, the national urbanization plan calls for development to focus on smaller cities and towns, as well as satellite cities in the major metropolises. This term harkens back to the 1980s, when a similar debate raged in Chinese policy circles over whether to privilege the development of large cities or small cities and towns. By the 1990s, the bigger-is-better faction had won out. The Xi-Li plan suggests (and not without some reason) that this might have been a mistake. As this parallel suggests, not everything in the national urbanization plan is new. In fact, much of it is based on re-articulations of past policy, including the “develop the west” and “urban-rural coordination” programs. In particular, the plan adopts many elements from the various local experiments in urban-rural coordination. Again, this is consistent with past national policy frameworks—the rhetoric may change, but the Chinese state values continuity and stability over all else. As a national policy framework, the national urbanization plan must be catholic in its scope, providing a conceptual apparatus through which the various domestic policy priorities of the Chinese state can be combined and integrated. As a result, the plan is something of a grab bag, including issues as diverse as migration, land, food security, environmental protection, technological development, industrial upgrading, social welfare, etc. This explains, in part, why the plan took so long to be prepared, approved, and released—a point that has been repeatedly emphasized in the English-language coverage. As the plan developed, all the various ministries fought to get their piece of the pie, ensuring that the initiatives central to each ministry would be prioritized going forward. This is consistent with the “fragmented authoritarianism” model of the Chinese state, whereby policy evolves from protracted bargaining between different state actors, each of which pragmatically bargains for more resources and powers. The wide range of the urbanization plan is also driven by the deeply rooted interdependence of China’s most pressing policy issues. For instance, integrating rural migrants into urban society, one of the principal objectives of the plan, touches on almost every aspect of China’s economic and political system. Accommodating hundreds of millions more urban residents will require the construction of housing and infrastructure, the efficient provision of education and health care, new economic growth to provide employment opportunities, and more effective mechanisms for managing, predicting, and planning for the needs of this growing population. It will require better methods for managing newly vacated rural land, for supporting those who stay behind, and for sustaining China’s food supply through agricultural modernization. All of this will also threaten environmental sustainability. The list goes on. Without mature market institutions to guide these transitions, China is faced with the challenge of rearranging the interlocking pieces from the top-down. It’s not so much a game of dominoes as a massive game of Jenga. In this respect, urbanization is a particularly rich concept around which to orient a national policy framework. Cities bring together the full spectrum of a society’s problems, making them tangibly manifest through encounters with our fellow inhabitants. Like “scientific development,” which promises a cure-all for society’s diverse challenges through the universality of science, urbanization speaks to our hopes for a better future. It’s not altogether surprising that Xi and Li chose urbanization as the guiding principle of their policy framework. After all, Xi wrote his PhD dissertation on rural marketization (a.k.a. urbanization), and Li has been pushing the “new form of urbanization” idea for years. But urbanization is also something all Chinese citizens can relate to and internalize as part of their lived experience. Like most Chinese policy (and much Chinese law), the national urbanization plan is programmatic—it lays out a set of objectives that may or may not be realized. Their impact will depend on how the policy is interpreted and implemented by local governments. The plan designates the powerful National Development and Reform Commission (NDRC) as the organization responsible for plan oversight and implementation (the NDRC also led the plan’s formulation). But more than a few national policy programs have been subverted by the intransigence of China’s local governments. Many of the goals laid out in the national plan may be laudable, but there’s no guarantee they will actually be achieved. Many of the goals laid out in the national plan may be laudable, but there’s no guarantee they will actually be achieved. To facilitate implementation, the national urbanization plan calls upon local governments to develop their own local urbanization plans and policies according to the framework laid out in the national plan. In effect, it creates a new planning apparatus parallel with the existing economic, land-use, and urban planning systems. The national urbanization plan therefore involves an implicit critique of China’s existing planning systems. 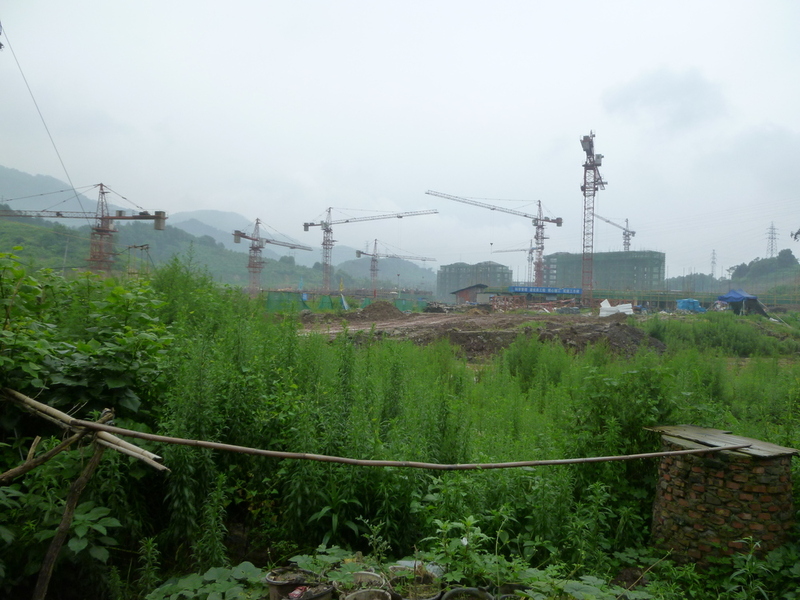 Instead of enabling top-down coordination of local state actors for the achievement of national policy priorities, planning has largely been captured by local governments—particularly China’s powerful municipalities—as a tool for local development. This is especially true for urban planning, which, despite legal and disciplinary upgrades over the past several years, has struggled to escape its role as a technical function of local developmentalism. China’s central state has tried this strategy before. For instance, the strengthening of land use planning in the 1990s reflected a broader recentralization effort. By instituting a parallel planning and management system for land use control, the central state sought to restrain local developmentalism and urban planning overreach. But the land use planning system, which still depended on local governments for financing, has achieved relatively little impact. As a result, the central state has increasingly pushed to re-integrate land use planning into urban planning. In its place, the effort to regulate local developmentalism now seems to be shifting to urbanization planning. The success or failure of the national urbanization plan will thus come down to the institutional relationships that operate at the local level. The plan calls for the development of a cadre of “urban management experts,” but it’s not clear where these experts will be situated—it says nothing about the creation of a new bureaucracy for urbanization planning. Preliminary reports suggest that the NDRC is already using this initiative to establish a more robust presence in China’s local bureaucracies. If the NDRC is successful in consolidating control over urbanization planning, this could go a long way toward ensuring its efficacy in guiding local government decision-making, but it could also end up producing a new power silo in a bureaucracy that is already dangerously fractured. As with past national policy programs, we’re likely to see a piecemeal rollout, with a variety of policy experiments implemented in different localities. Successful experiments get nationalized, while failures go back to the drawing board. Think of it as China’s version of Race to the Top. As these experiments are rolled out, we will learn more about how the national urbanization plan might actually effect national change. Mostly, I think the national urbanization plan is a good thing. High-level support for what amounts to a national social development agenda should help China to course correct away from the inequity and “GDP worship” that has characterized the last couple of decades. But there are plenty of potential pitfalls along the way. After all, China has a long history of creating humanitarian disasters through the implementation of well-intentioned national development programs (think Great Leap Forward). Most importantly, the national urbanization plan suffers from what I refer to as “methodological urbanism”—the tendency to see the world through the lens of the urban-rural dichotomy. By implementing a national urbanization program, the Chinese state will inevitably be forcing people to fit into state-defined, urban-based forms of living. Instead of finding ways to better support people in the hybrid lives they already lead, national urbanization will require their displacement and disruption. National urbanization could end up creating a permanent Chinese underclass, with millions of families perpetually stuck in subsistence-level welfare-dependence. As they leave their existing support networks and livelihoods behind, these people will become even more reliant on social welfare and insurance schemes. If these new state-led support structures are not ready and waiting for them on the other side of this process, national urbanization could end up creating a permanent Chinese underclass, with millions of families perpetually stuck in subsistence-level welfare-dependence. Even if China’s leaders succeed in eliminating urban-rural inequity, they might still end up reproducing a two-class society. This is something nobody, least of all the Chinese state, wants to see. For more on this and China’s current experiments in household registration reform (on which much of the national urbanization plan is based), see my recent article in the Journal of Urban Affairs. Stay tuned for more detailed discussion of specific parts of the national urbanization plan in the coming weeks. Whether as planners or inhabitants, the actions we take to transform the lived environment are always motivated by our ideas about urbanism. Our beliefs, theories, and assumptions about socio-spatiality drive the choices we make as we act to produce urban change. Where do these ideas come from? What epistemologies and knowledges underlie them? How do they circulate and propagate through history and across geography? How are they ultimately transformed into action? This blog explores these and other urban questions in contexts of rapid transformation, instability, and liminality—places where entrenched urban ideas are destabilized and new epistemologies emerge.